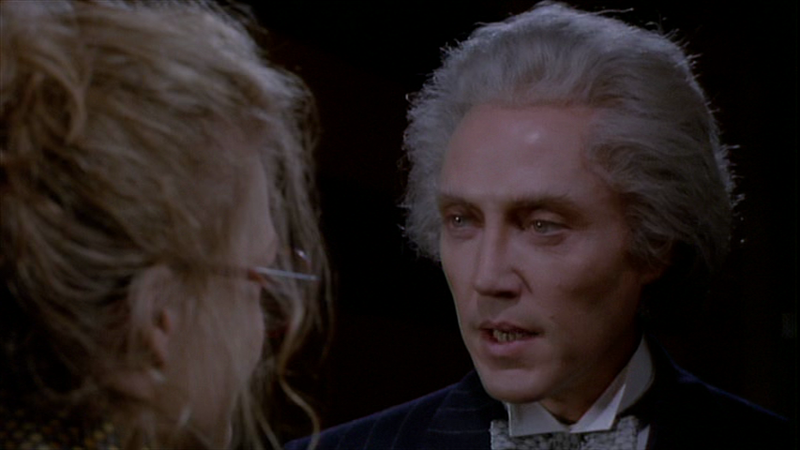 Walken in Short: He plays the millionaire industrialist Max Shreck. A bit of a sociopath, and not an ideal boss to work for, but he’s no Super-villain. At least not compared to The Penguin or The Joker. He is a strong character with a handful of good moments, and some great lines throughout. 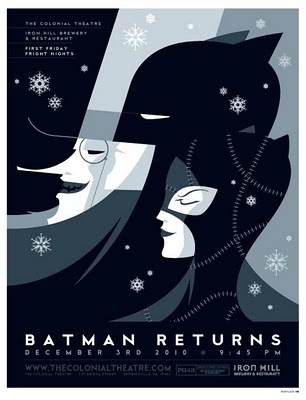 Art Note —> I was searching for the official movie poster when I found this art by Tom Whalen. I love it. Check out his site, more Batman stuff and other film art, too. Movie in a Sentence: A scheming businessman (Walken) is the catalyst that inadvertently creates Catwoman (Pfeiffer) from a lowly secretary and also brings the Penguin (DeVito) out of the sewers with his army of carnival criminals to battle the Batman (Keaton). Director: Tim Burton – You know who he is. 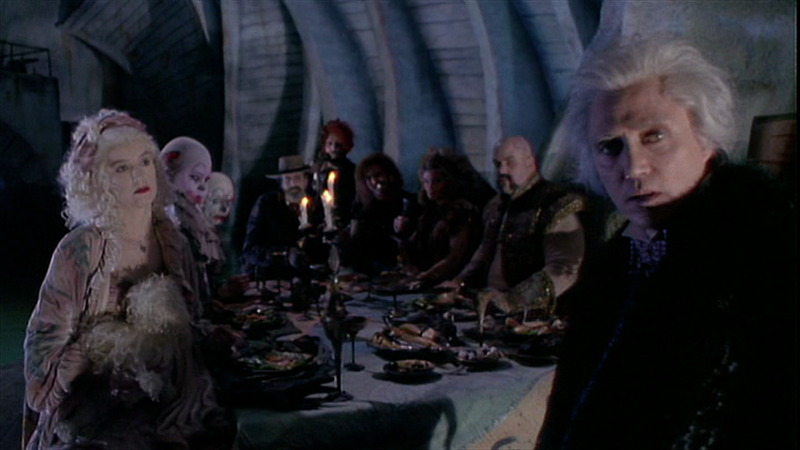 Walkenarially, Burton went on to direct SLEEPY HOLLOWS, with Walken as the Headless Horseman. Screenplay: Daniel Waters (also wrote HEATHERS and HUDSON HAWK!) and Sam Hamm (also wrote the previous BATMAN screenplay). Of course, Bob Kane and Bill Finger created the original Batman comic. MPAA Rating: This got a PG-13, and that sounds about right. There isn’t anything outrageously verboten. But between some ribald double-entendres from the Penguin, the full-on, in-yo-face, sheer sexuality of Catwoman (bless her heart), and the nightmare-chaos that the Penguin’s carnival-army creates, I’d say PG-13 is justified. Similar Films: I’m not going to list them. Super-hero movies. Google it. Although, if for some reason, you’ve not already seen Tim Burton’s previous Batman film, then I want to convince you that you should. Keaton, Jack Nicholson, Jack Palance, and Kim Basinger. Sooo good! Available to Own: Oh sure. VHS, DVD, Blu-ray. You should be able to find them pretty cheap too. 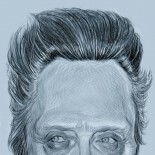 Walken Content: 40% – Which is surprising, considering his character has no an animal-themed alter-ego. 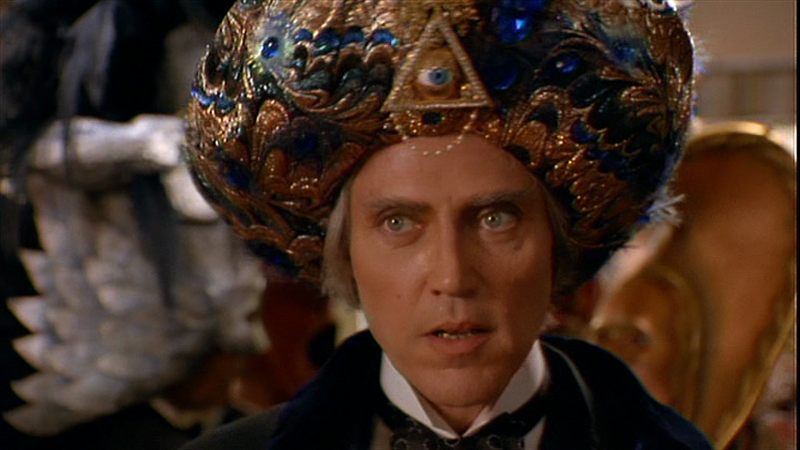 Despite that obvious handicap, Walken makes regular, and significant appearances throughout the entire running-time of this film. 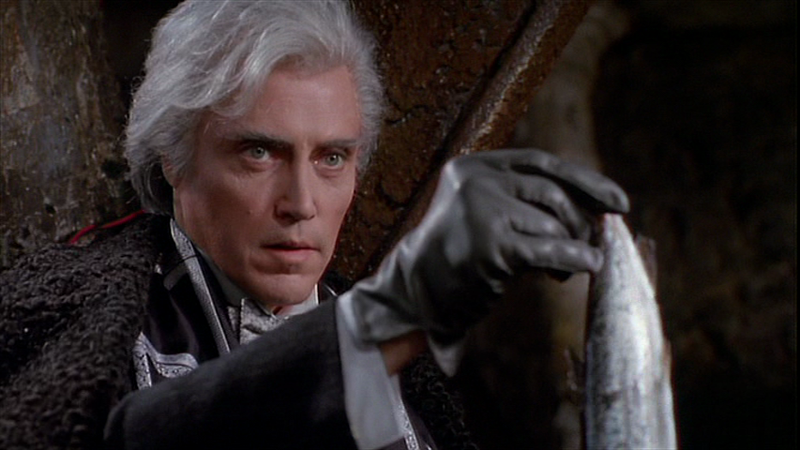 FUN FACT: David Bowie was offered the role of Max Schreck before Walken got it. Bowie decided to appear in David Lynch’s TWIN PEAKS film instead. Should You Watch This? Absolutely, yes. Walken is terrific in this, and if you’re at all a fan of Christopher Nolan’s BATMAN trilogy, or any of these blockbuster superhero films that are around now, then you should see where it all came from. Tim Burton’s two BATMAN films have a great balance of reality and fantasy, grit and levity, action and comedy. Great casts, great scores (with the brilliant Danny Elfman, of course! ), and great quotable scripts. 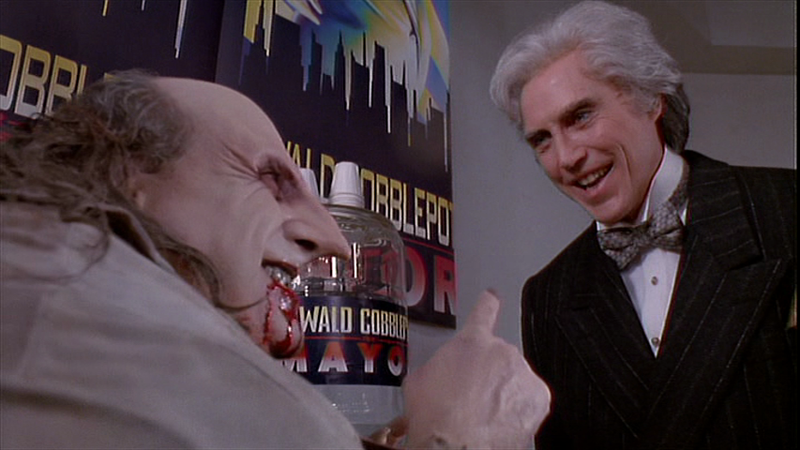 This entry was posted on March 23, 2014 by Something Something (todd) and tagged Batman Returns, Christopher Walken, Danny DeVito, David Bowie, Film review, Max Schreck, Michael Keaton, Michelle Pfeiffer, sequel, Tim Burton, Tom Whalen, villain.